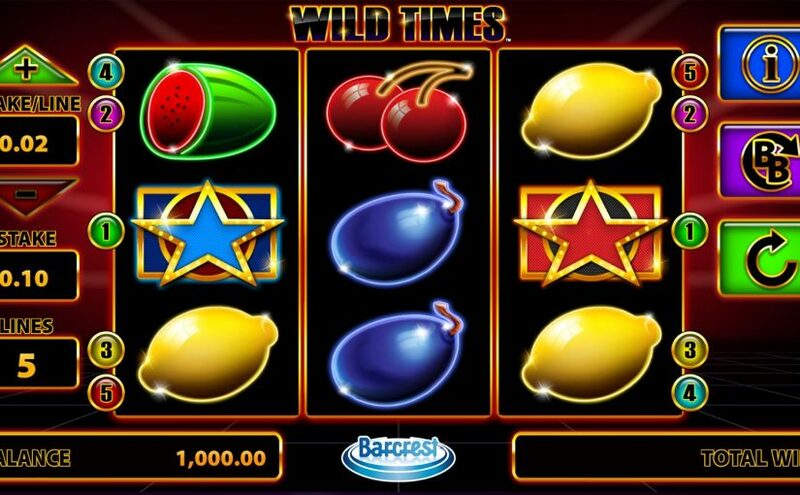 Wild Times Online Slot is a Classic 3-Reel slot powered by Barcrest. Players have the option to engage in a standard 5-payline game, or via the Big Bet Mode that offers as many as 27 ways to win on matching reel symbols. The Wild symbol only appears on reels 2 and 4. . After a standard spin or Big Bet spin, any winning combination completed by a Wild Symbol will initiate Wild Multiplier Wheel. The wheel takes a spin to determine whether a x2, x3, x4, or x5 will be awarded as multiplying factor for the Wild-Win that triggered the feature.